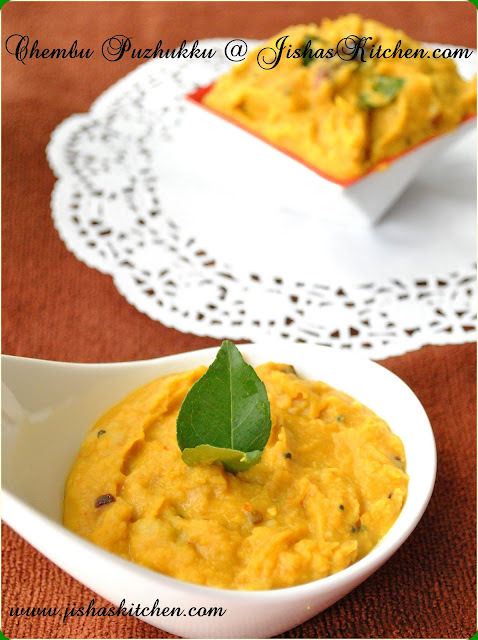 Today I am sharing the recipe of Chembu puzhukku / Chembu vevichathu / Mashed colocasia. Colocasia is also known as taro / elephant ear. It got the name " Elephant ear", because its leaves resemble the shape of an elephant's ear. 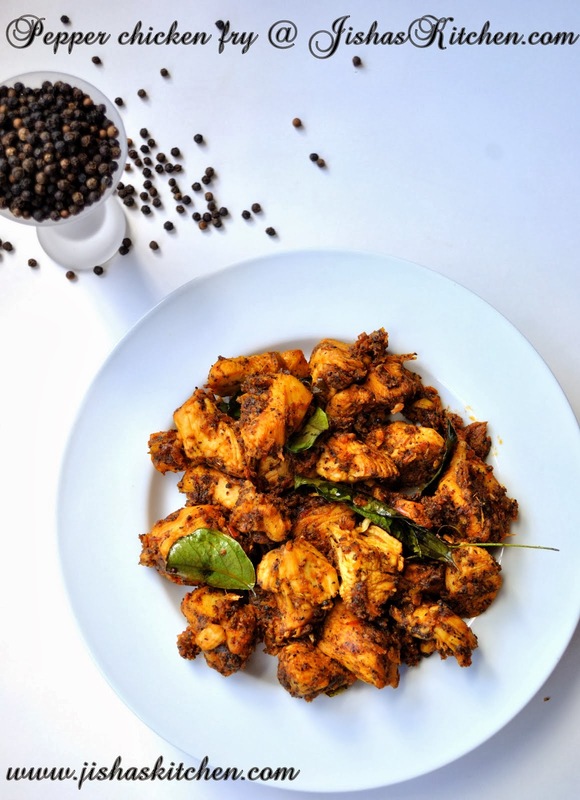 One of my friends gave me an idea of making chembu puzhukku and after that while I was talking to my MIL about this dish, she helped me with this recipe. I prepared this 2 days back and believe me, its very delicious and it tastes similar to Kappa Vevichathu / Mashed tapioca. It goes well with Kanji ( Rice porridge) or even you can have it with some rice or fish curry. First clean and peel the chembu and then cut it into medium size pieces. Then cook by adding 1 cup - 1 1/2 cups of water and little salt for about 15-20 minutes. Meanwhile grind coarsely grated coconut, coriander powder, green chillies, shallots, fennel seeds, turmeric powder and red chilly powder by adding just 1-2 tbsp of water. 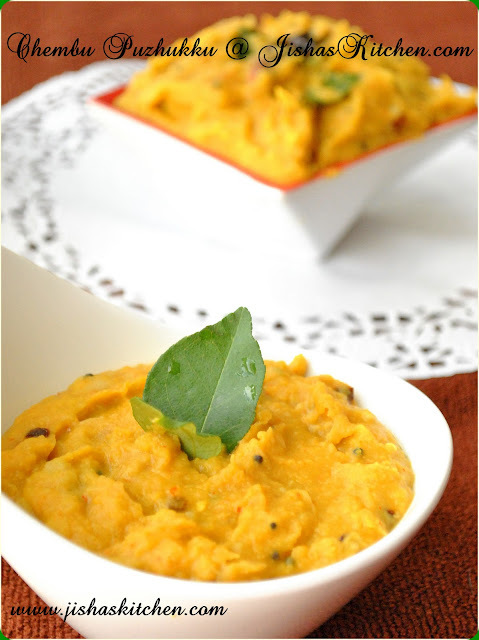 When the chembu / taro pieces are cooked, add the ground coconut mixture and salt to it and mash the chembu pieces while mixing it. Then remove from the flame after 3-4 minutes. In an another pan heat oil and add mustard seeds. When it crackles, add dry red chillies, curry leaves and chopped shallots and saute till shallots become brown in color. Pour this to the mashed chembu. Enjoy with Kanji / Rice. delicious recipe...n with addition of coconut makes this recipe unique ! 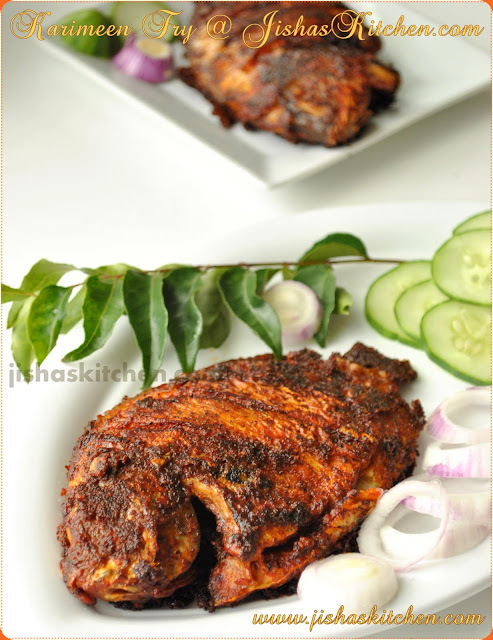 Chembu puzhukku adipoli aayittundu, Jisha..Clicksum kollam! Love this so much,looks delicious..adipoli dear. wow delicious and yummy curry !! as usual awesome clicks !! 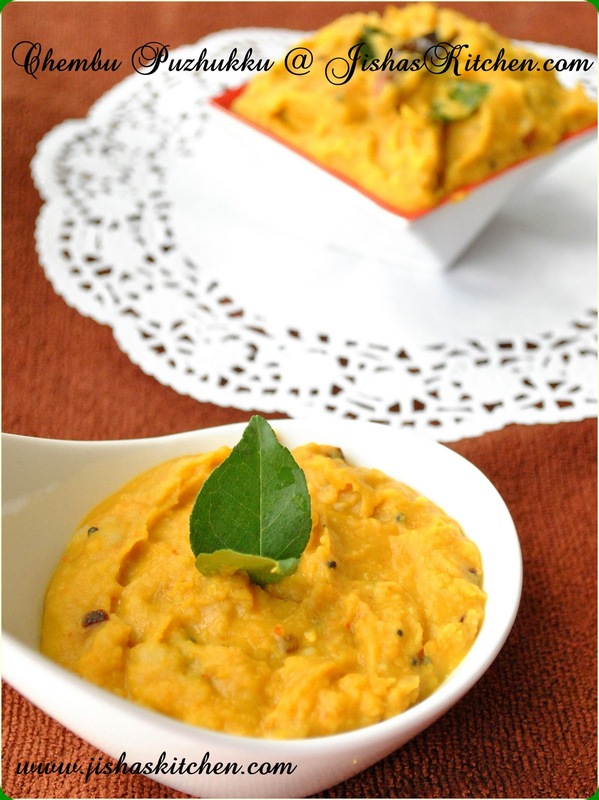 A very different recipe looks yumm will surely try @ home..
Yummy recipe dear. Looks so colorful. Feel like finishing that whole bowl,wonderful looking chembu puzhukku.. Very new to me. I shld learn many and muych more dishes from u.
new to me...looks delicious tho!...very nice! Never made anything like this frm colocasia....Looks yummm!!! I stumbled upon your blog. Nice recipe . I haven't tried it !!! I am happy to follow you.